Bitmaintech, the company making 180 GHS AntMiner S1 BTC ASIC devices is still pretty much the only company that only sells units that are on stock and are shipped fast to you with express delivery. Currently the price of a single 180 GHS AntMiner S1 is 1.345 BTC directly from the maker and that includes the shipping costs too. But the question that arises is if these devices are worth investing in now with Terahash ASICs right around the corner? That is why we have decided to do a comparison between the 180 GHS AntMiner S1 ASIC and a cloud mining service as an alternative option and we have chosen the PB Mining Bitcoin cloud mining service. We choose that provides of cloud-based hashrate for mining BTC as they currently offer the most attractive price per GHS of just 0.0089 BTC per GHS. 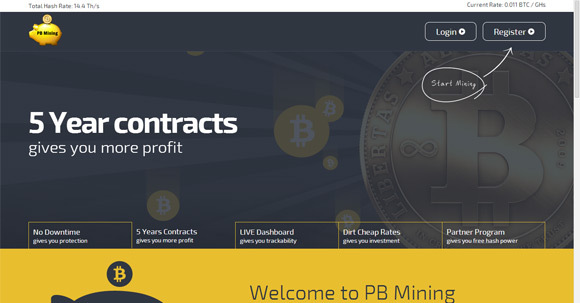 We choose the PB Mining service for comparison as we have been using the service for a while already and it seems to be running smooth and without issues. Note that what you get there is a mining contract for 5 years, there is no exchange available where you can trade the purchased GHS. This long term contract is the reason why the price is much more attractive as when compared to CEX.io or other similar services. 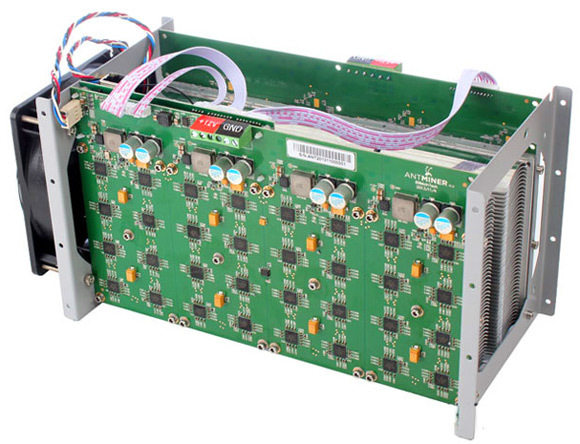 This you should however add some more to the price of the AntMiner S1 as you will need to buy a power supply for using the ASIC as there is none included. For a good 500W power supply that you will need you should add in about 0.1 BTC more, plus customs taxes for the ASIC as it is shipped from China that are going to be at least another 0.1 BTC and you get 1.545 BTC or a value that is already pretty close… With the current value in two-three days mining you will be able to cover the remaining difference and you may need to wait for about a week for your miner to arrive, and the cloud mining hashrate will start mining for you pretty much right away or in a few hours after you send the payment. So it seems that the PB Mining cloud mining service seems an option that is not less attractive than purchasing an 180 GHS AntMiner S1 ASIC device. Of course there are other variables as well, like the fact that you can easily overclock the AntMiner S1 to about 200 GHS, but you will also have an extra cost for the power used by the device that will probably be covered by the extra hashrate achieved by overclocking the miner. So you really have an interesting cloud mining alternative than to purchase mining hardware, both will take pretty much the same time for you to break even before starting to make extra Bitcoins. The choice is yours, but you should consider the alternative options you have in the form of cloud mining instead of purchasing ASIC hardware directly from the manufacturer even if it will be shipped immediately to you.